Modern serviced offices available close to the Airport. Easy freeway access to Route 287. The offices are modern and refurbished recently and come furnished. Comes with meeting rooms, break out room, and Spanish/English translations offered. Flexible pricing offered. 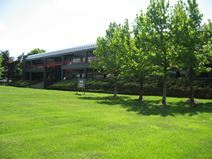 With a convenient location next to exit 8 of Interstate 287, this exquisite and highly contemporary business center establishment provides highest quality office accommodation in a beautiful landscaped corporate setting. Just 40 minutes from New York City, this is an excellent location for your business. The Piscataway business center is 30 minutes to Newark international airport and 40 minutes to New York City.